*or, more appropriately titled, a select collection of most worn items, because there was a lot to choose from. 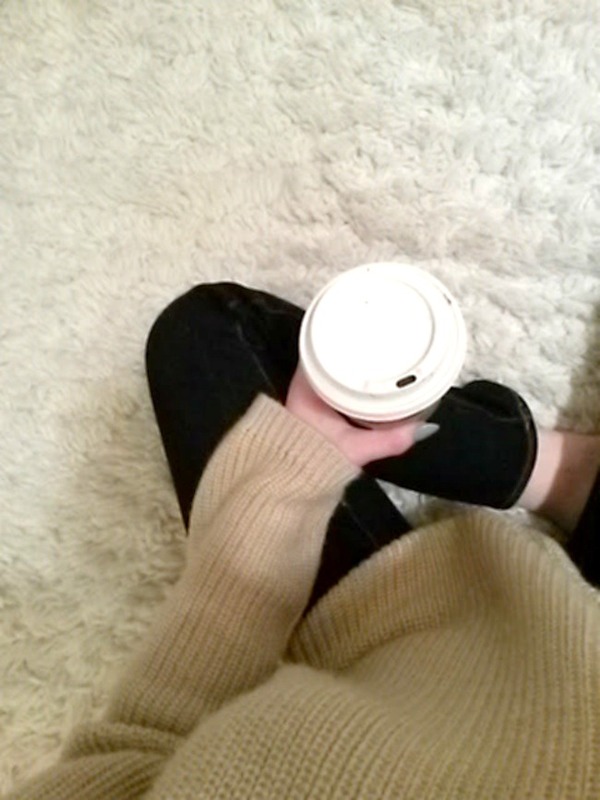 1// Forever 21 Blush Sweater: I featured a whole post on this sweater, I love it so much. It's soft and comfy & can so easily be thrown on over a bralette on a cold day. 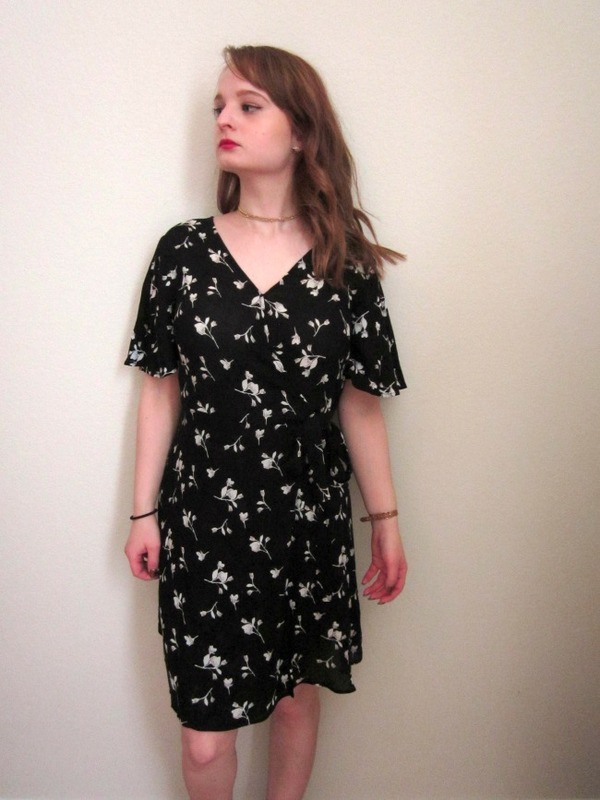 2// ASOS Petite Floral Dress: (sold out; similar) I love this dress because of its versatility, + I love a good high neck detail. I like to layer it with leggings or tights when it's colder, & then I get to show off some leg when it's warm. 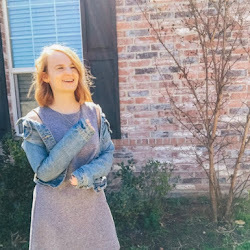 3// Mossimo Denim Jacket: A good denim jacket is such a staple & I wear this with literally everything. (well ok, maybe not in the middle of summer) Depending on what you wear it with, it can look more dressed up, which I love. 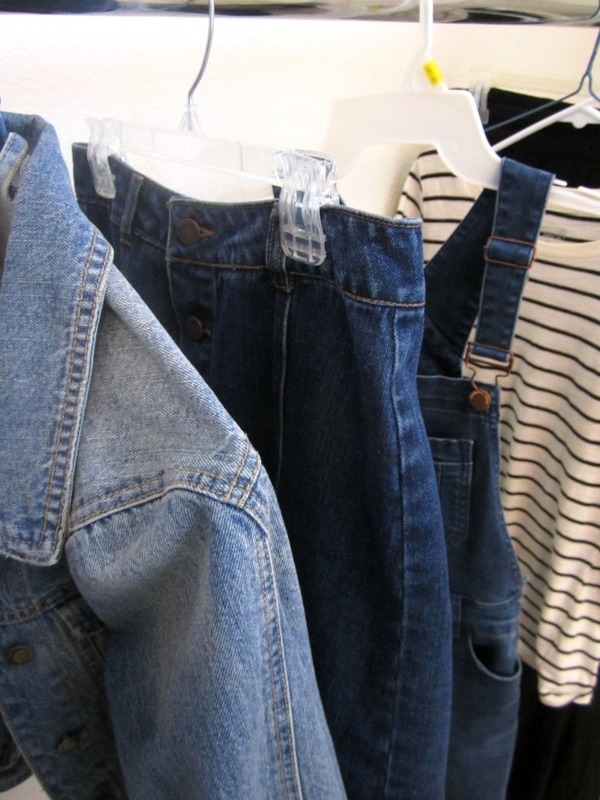 4// Denim Skirts: (similar) I've got a couple but the one pictured is from f21 & I LOOOOVVEE. I actually think half my outfits include a denim skirt. What can I say? They can be paired with graphic tees, crop tops, the list goes on. 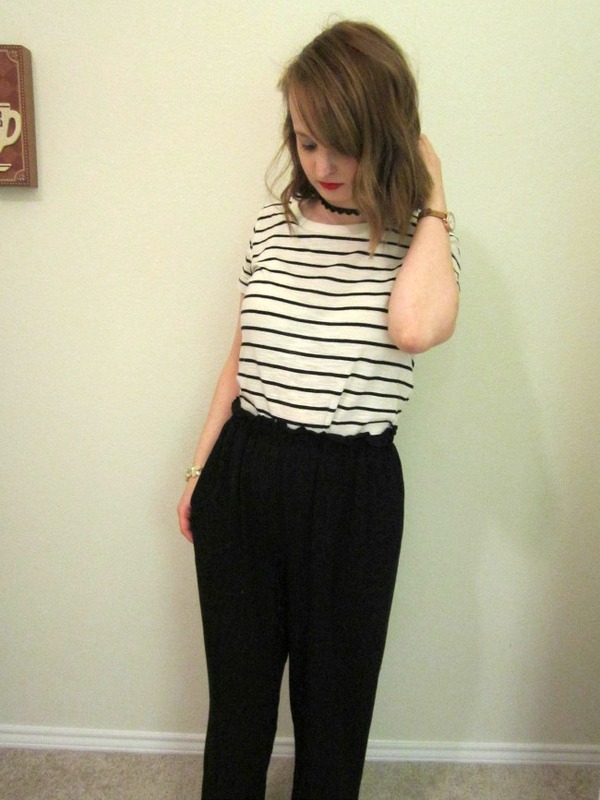 5// ASOS Petite Overalls (sold out; similar) Overalls are another staple I can't get enough of. 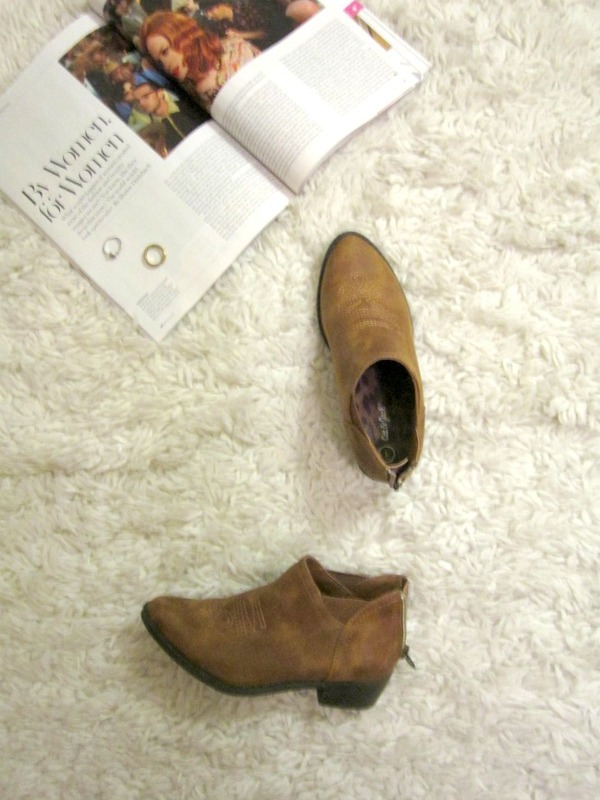 They're so useful to have on hand to throw on, & I like to throw them on with anything! 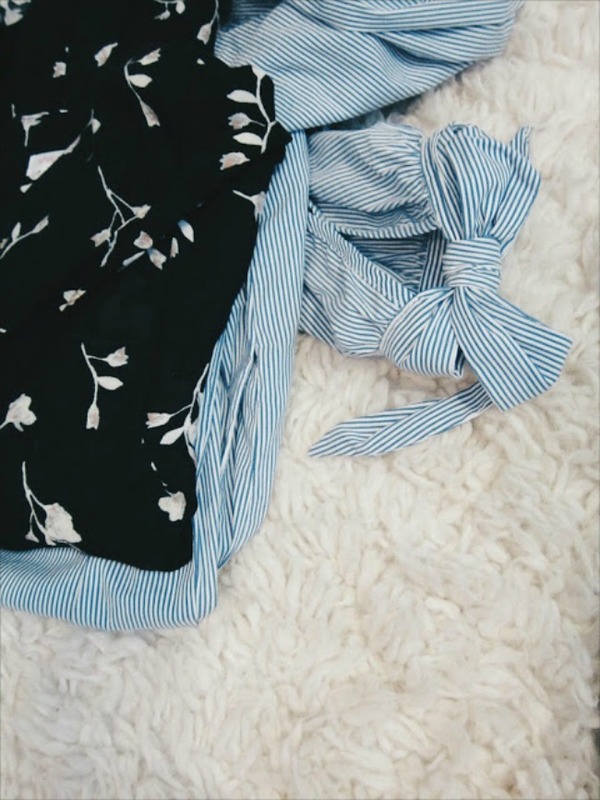 Pairing them with long sleeve or sweaters in the winter and then some stripes or off the shoulder are a no-fail. 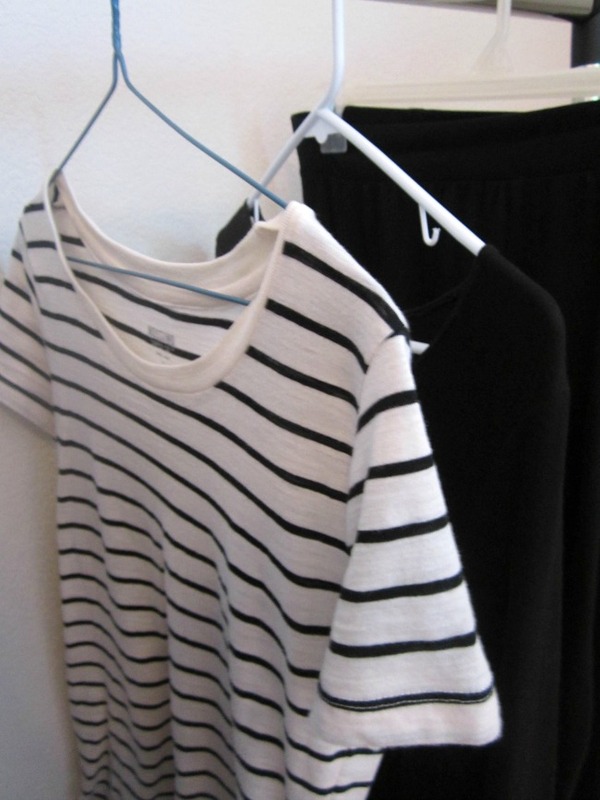 6// Mossimo Striped Tee: (similar) speaking of stripes.... 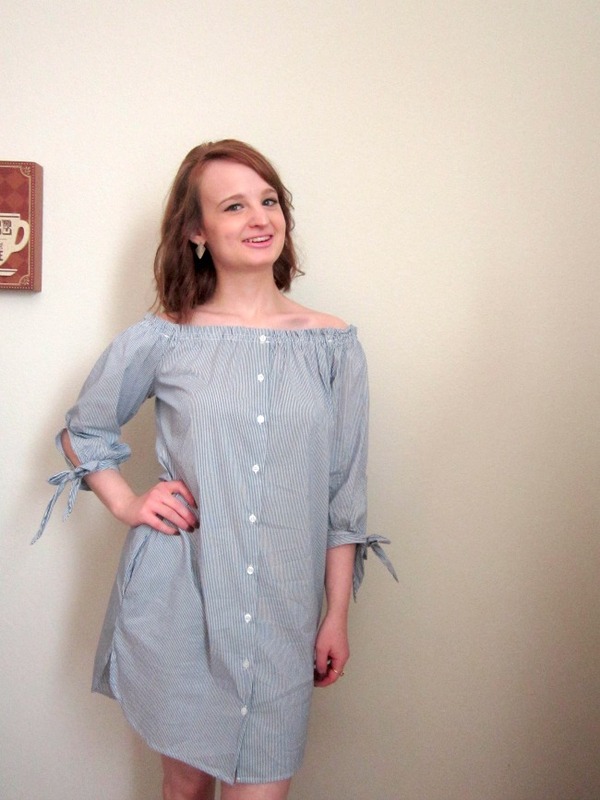 I have many a striped shirt but seem to reach for this one quite a bit... it's so comfy! I'm not sure where my love of stripes came from but it's not going anywhere & a basic tee like this fulfills all my needs. 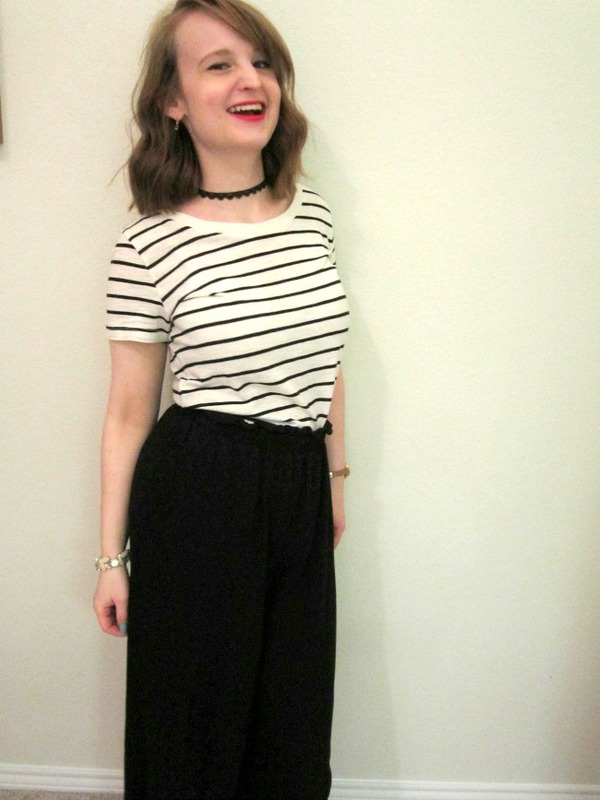 I love tying a knot in it 90s style & wearing it with shorts! 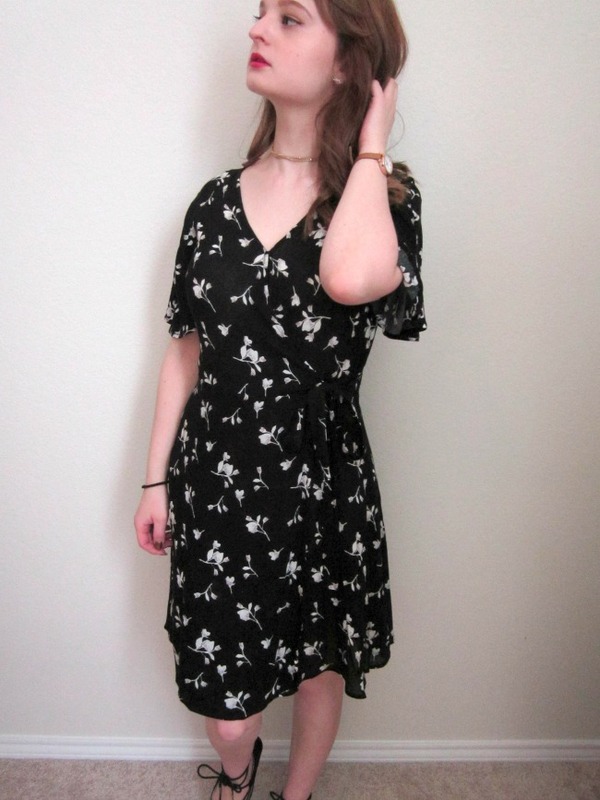 7// Forever 21 Black Swing Dress: A casual spin on the LBD, this dress has actually lasted me quite a few washes! It's very versatile & can be dressed up or down. Paired with a skinny belt to give some shape is an easy way to look effortless. 8// Leggings: (similar) Although only one pair is pictured, boy do I have more. 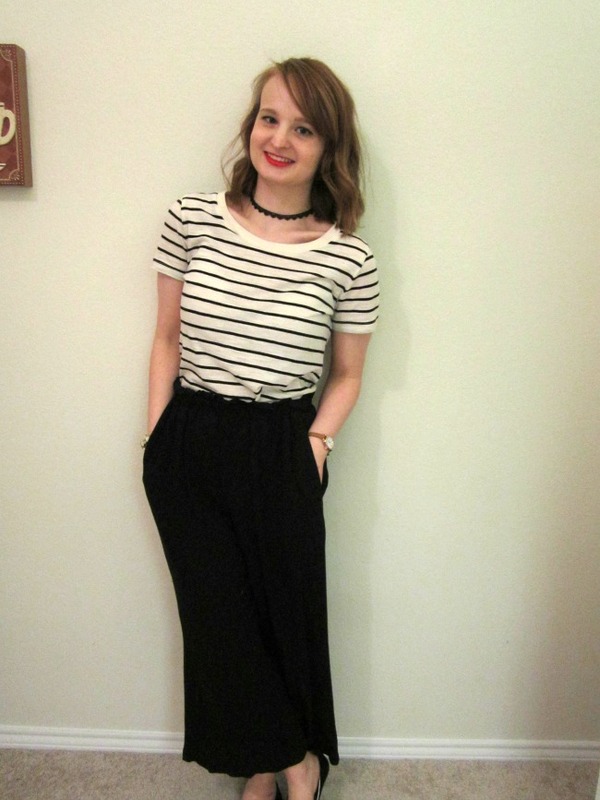 I wear leggings A LOT to work (of course I dress them up) & I am forever an advocate of 'leggings are pants.' They're not tights.... ANYWAY leggings are an essential part of every wardrobe, so says me. OKAY, (most) of my most worn items, done! (should there be a part two? LMK) Are any of these same pieces on your most worn list? I've read a few articles recently on the state of blogging & how "real" things are. I agreed with a few points, while others not so much. Like hannah says, blogging is a business. It can be calculated and cold. But that's not all it is and if you think that's all it is, you probably shouldn't be blogging. You won't get anything out of it, & neither will your readers. We have to remember that blogs & social media only show one side of things. This is something that we do calculate and control. We only put out what we want others to see, whether it's a pretty photo of a latte or a seemingly glamorous collaboration with a brand. That should be a given of social media by now. We shouldn't put our worth in what kylie jenner's waist looks like or the number of likes our photo gets, because it's all calculated. I'll admit, it can be easy to get caught up in it. Sometimes I find myself having to step back for a sec and take a breath. Remember why I do this whole thing. And then start over with a fresh mindset. Blogging has gone from being a place to share random thoughts to being a place to build a business while you share your thoughts. I think there has to be a balance somehow in knowing it's a business and working it while still maintaining realness, living life instead of merely posting it, & not selling your soul for a brand deal. Is there a formula to maintaining that balance? I'm not totally sure. I do know we should maintain community within this world, because with the risk of sounding like high school musical, we're all in this together. With the few and far between exception of 'top dogs' that are in their own world, this rings true. There's a difference in editing your waist so much that people think that's what they should look like as well & staging your coffee cup just so, or re-painting one nail for that perfect insta shot. If it's only the latter that's your game, it's a oh-okay. When I decided to cut my hair again, I knew it would be a change from the endless ways of styling longer hair. But luckily I've had quite a bit of practice since my hair's been short before, & I've figured out a lot of different things you can still do. Short hair is anything but boring! 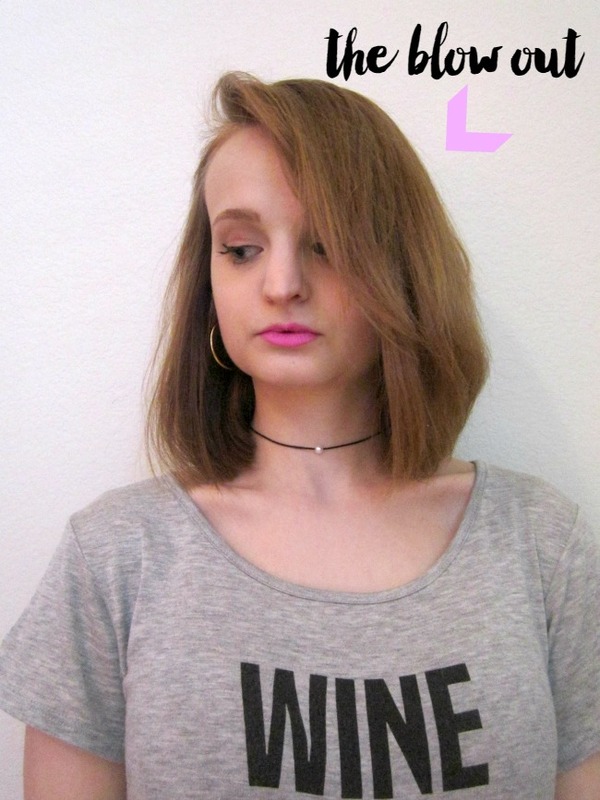 SO, I thought I'd share four of my favorite ways to style a bob or lob, all super easy & ten minutes or under! 1) VOLUME IS KEY no matter what your length. I love a good blow out (I really want to try drybar.. anyone have experiences to share? SORRY, getting off topic) & for this style I blow dry until it's 50% dry, then flip my hair over and dry underneath for about 30-45 seconds. Dry the front the rest of the way, using the round brush at the crown to get a little tease going (I like to use the cold setting on my dryer to lock in the volume) then brush the ends facing away from you. Set the finished look with a gel or pomade! 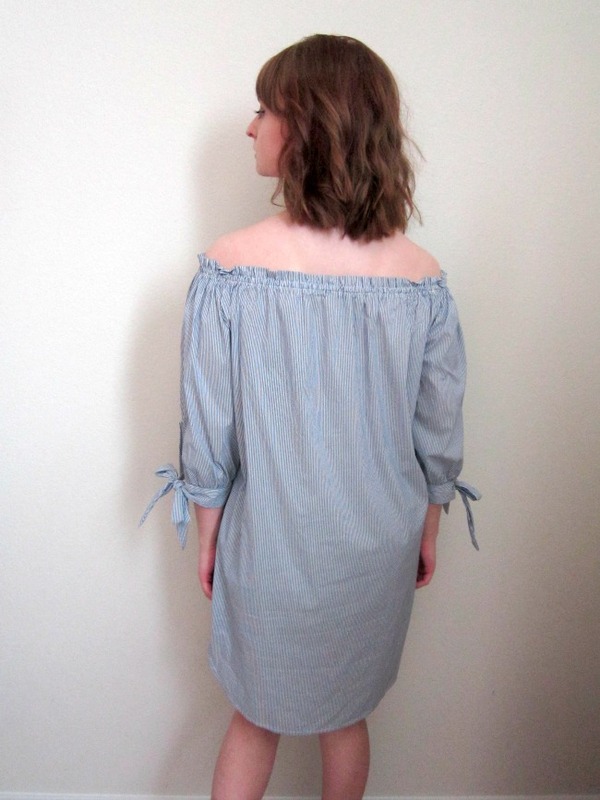 2) This was one of my go-tos back when my hair was long, & it's still a favorite because it's literally two steps. Straighten your hair or do the blow out from above, then gather the top half of your hair and tie it in a half bun. 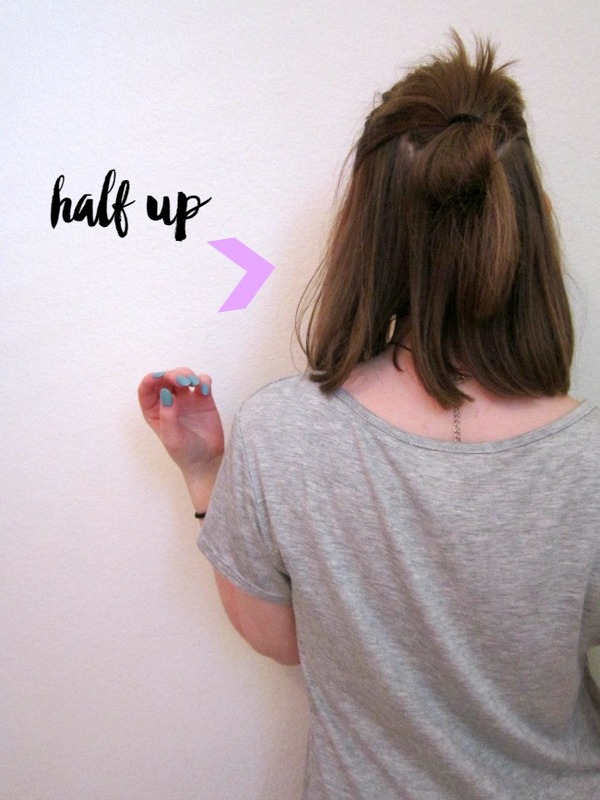 (tie it up like a normal pony & then on the last tie around, only pull it halfway through) THAT EASY. 3) Another favorite that has kind of become a signature the past couple years. I even wrote a post on it last year, & luckily the directions are still the same on a bob. BONUS: it only takes half the time it used to! My hair holds curls/ waves better without hairspray, but if yours is the opposite be sure to lock it aaaall in. I do use pomade to help break the waves up more. 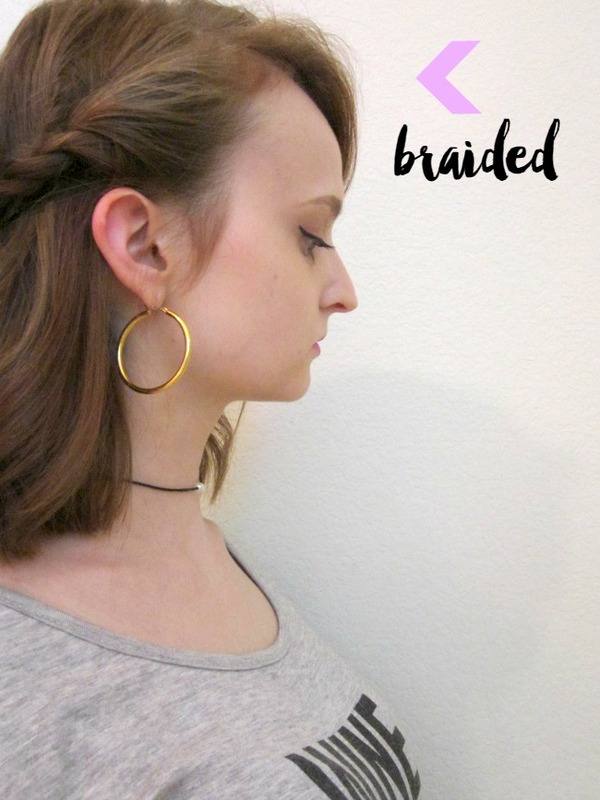 4) Sure, you may not be able to side braid, but you can tiny braid! I like adding a (one) sided braid to some messy waves for a look that says "I'm trying to look sophisticated but I'm not TRYING." Fishtails are as fancy as I get, but if you can dutch, french, or any other country, go wild. & then teach me. 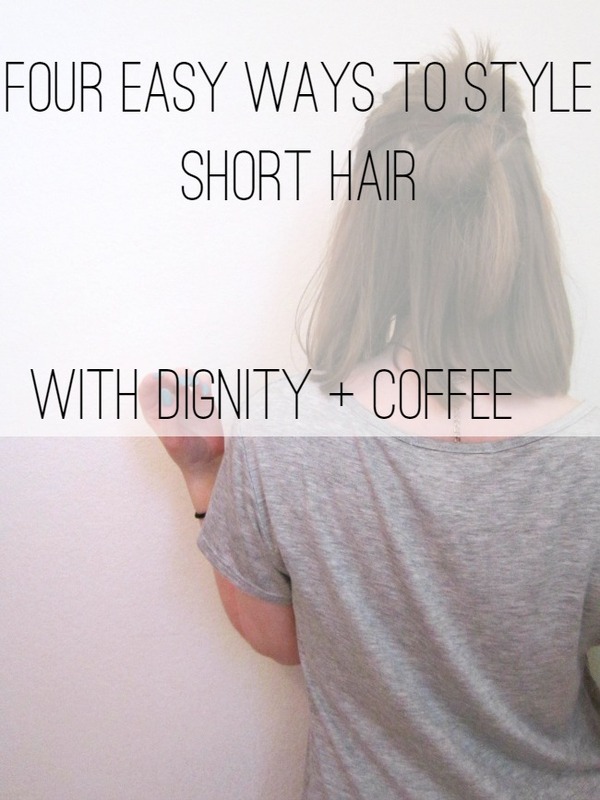 There are so many more things you can do with a short length. 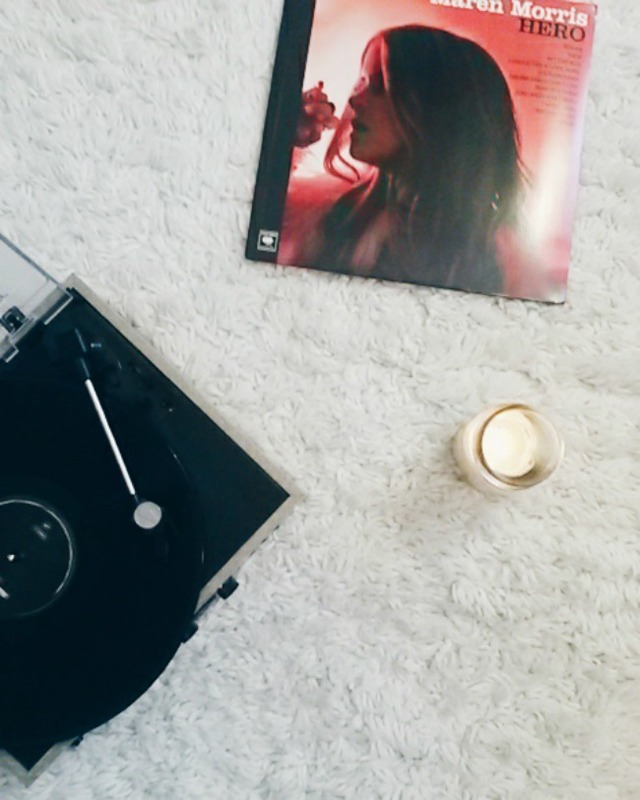 Pinterest is my favorite place to look for inspo! Look for a crop cut if possible so it hits at a perfect length. Right at the top of the ankle is a good cutoff point to keep from looking like you're being swallowed. 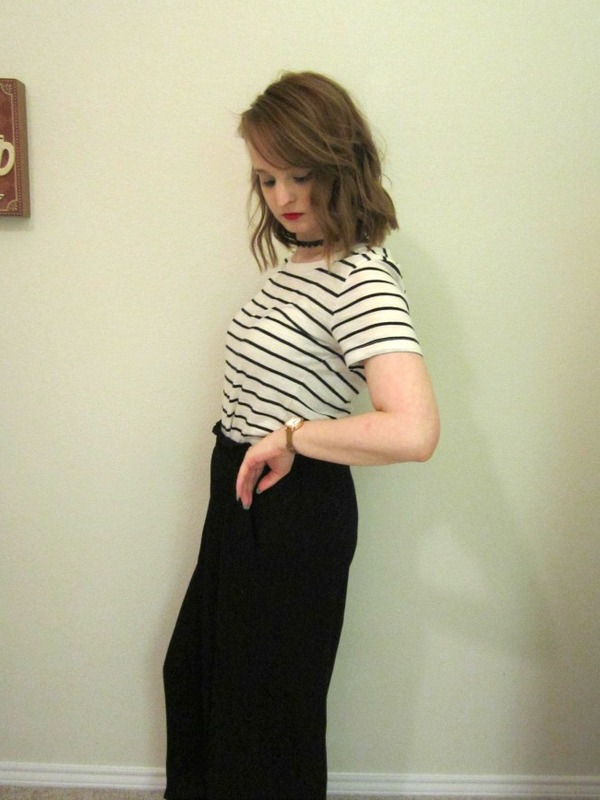 High waist gives the illusion of more leg & flats can be swapped for heels for even more height. 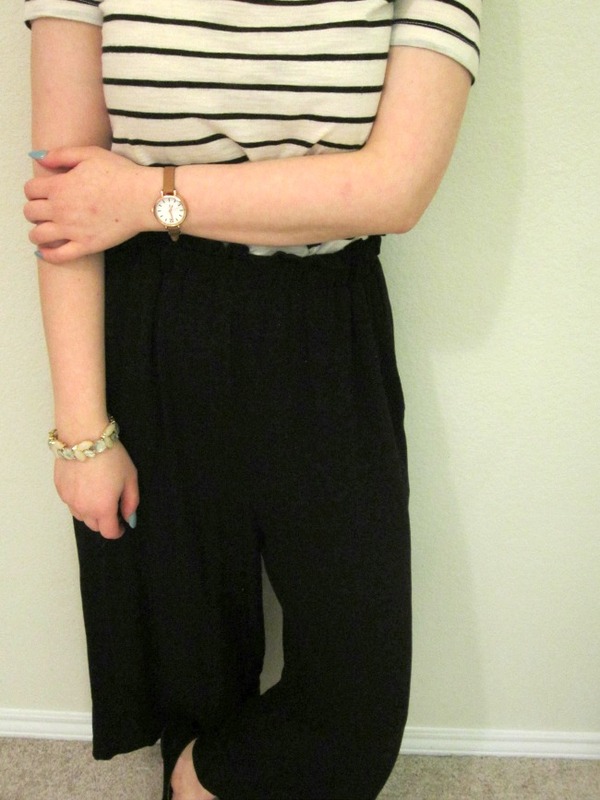 I love the look of a cropped or tucked in shirt with these pants; it gives things a cohesive vibe. Another NYFW, another season of attending from a screen. OH WELL. At least this way I can watch the shows in my pj's, yes? Tory Burch Tory's one of my favorites, and is well-worn here in DFW. This line's white & blue tone color palette is a winter dream. (I have a thing for winter whites) The only reservation I have on this one is the unnecessary monogramming... I love a good monogram, but on clothes it gives off too many Juicy tracksuit circa '06 vibes. But overall Tory delivers as usual! Alexander Wang A solid palette of black, navy, & greys, Alexander provides a sleek modern line. Bell sleeves & capes were abundant and I love it. Ralph Lauren RALPH. 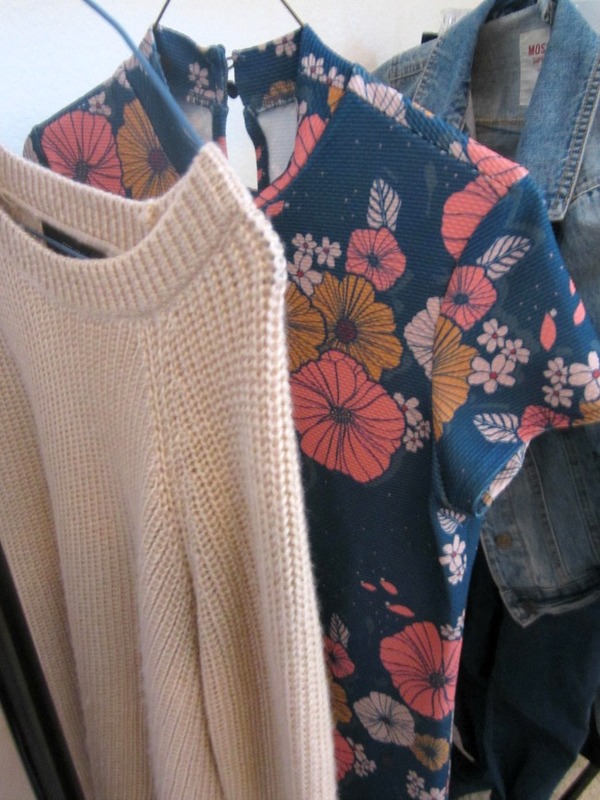 A feminine, sleek mix of neutrals & brights, we see jumpsuits and detailed dresses. I'm living for this leather jacket in particular. Carolina Herrera Carolina is always a dream! She gives us a mix of neutrals and reds to blues, complete with midi dresses and collars. (catering to my obsession, obviously) I love the simpleness of this line! What were some of your favorite shows? Hey, hi! How was your v-day? I've never really been big on valentine's, & even though I've always been single on the holiday, I'm not bitter about it, I just think it's silly when you should show love to your loved ones on a daily basis, ya know? I'd never used any Fresh products before my cousin gave me this travel size face mask to try out. I use it weekly & I immediately feel a difference in softness & hydration. BONUS: it's infused with real, actual rose petals. How's that for a treat? I was so excited to hear that Kristin Ess was coming out with a hair care line because it's probably the closest I'll ever get to her doing my hair. I am loving this pomade, especially since going back to short. 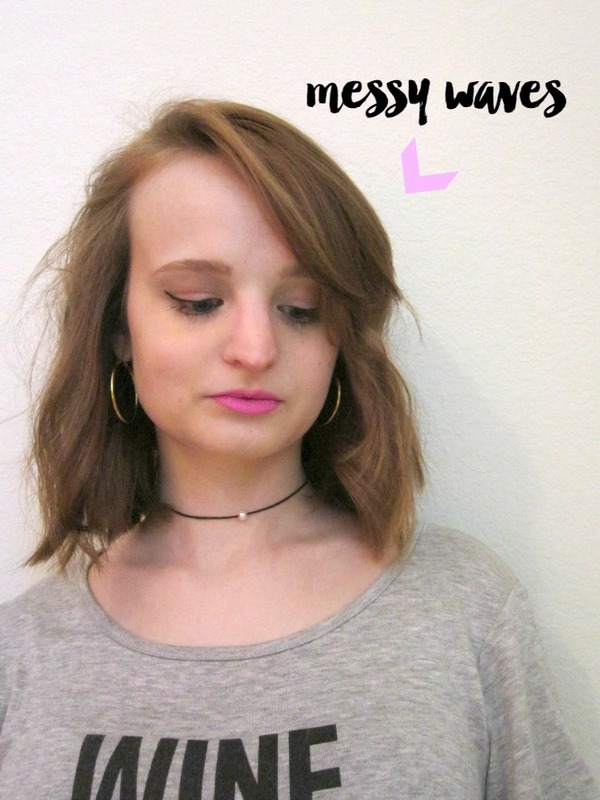 It gives gritty texture + locks the style in, making it especially helpful when I wear it wavy. BONUS: It smells incredible. This. Dress. An off the shoulder dream. 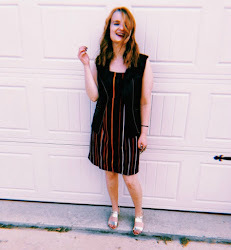 I love the versatility of shirt dresses, (adoring the vibes a knee high pairing give) and the color of this f21 one screams bright springy days. & did I mention off the shoulder? Okay, y'all. Let's talk about This is Us for a sec. I'd been meaning to watch it since the fall because it was EVERYWHERE. I was listening to the kidd kraddick show the other day & they mentioned it AGAIN & so, on a whim, I did it. I got all caught up & OMG. I pull Kim K's crying face at least three times an episode. But for real, this show is so real & funny & smart, the kind that makes you think about what the heck you're doing in life. And Milo & Mandy are INCREDIBLE... the whole cast is. Obsessed! OKAY, tell me what I should add to my list. & also please lemme know if you also cry uncontrollably at this is us. thanks! Having a proper pamper night at least once a week is essential for self-care & sanity. I've found that setting aside a specific time each week for some "me" time sets the tone of the rest of the week. This is why I like a Sunday night pamper, but any weekend night is cosy. For me, the first step of my night is always a perfect bubble bath, with this scrub my knight in shining armour. Once I've had my netflix & soak (HA) I'll go in with a face mask. I'm always terrified of drying or breaking out my skin, so I only use a mask once a week. 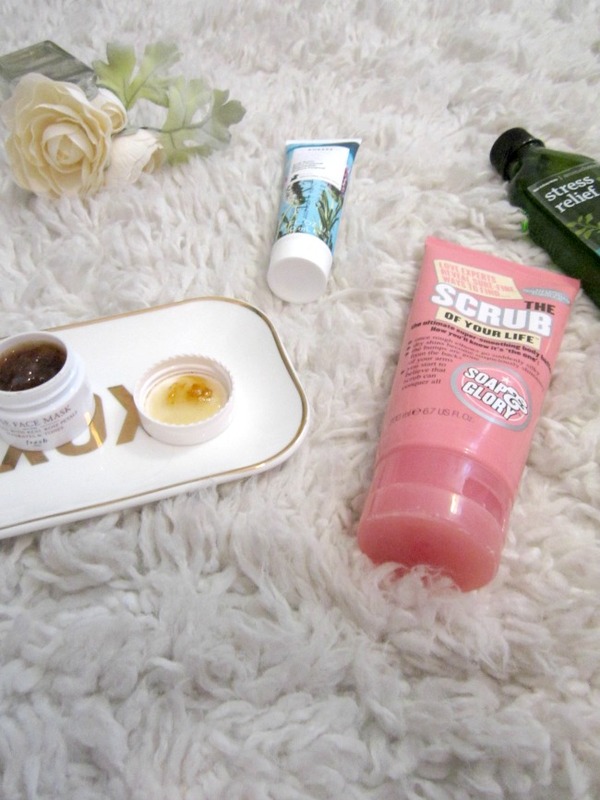 I've got a tiny version of this rose mask & my skin always feels super soft & hydrated afterwards. Bath & Body Work's aromatherapy stress relief oil is a necessity, not only because my stress is at code red at any given time, but the eucalyptus spearmint is also great for awareness & time stops for like, just a SECOND when you're putting this stuff on. After a body oil it's always good to lock it in with some body butter. I usually use this lavender or soap & glory one to freshen up. Once my skin is ready for bed, I'll finish off my tea and whatever episode I'm on, & crawl into bed. Sometimes I'll find another show to watch, but I've been trying to combat netflix with reading because finishing off the night with a good book (i'm currently reading lauren graham's!) is kind of heaven, right? Sometimes it's cool, (like when it comes to my hair...) sometimes I hate it; I think that's a universal thing. It's a necessary evil. Why is it so hard to embrace it during the 'hate it' moments? We're creatures of habit so I guess it's inevitable for us to reject anything that throws us off our normal path. Recently I've felt myself become more open to change & let myself get out of my comfort zone. Sometimes we have to get uncomfortable to be comfortable & I love the idea of challenging yourself to new experiences & ideas. Embrace it! 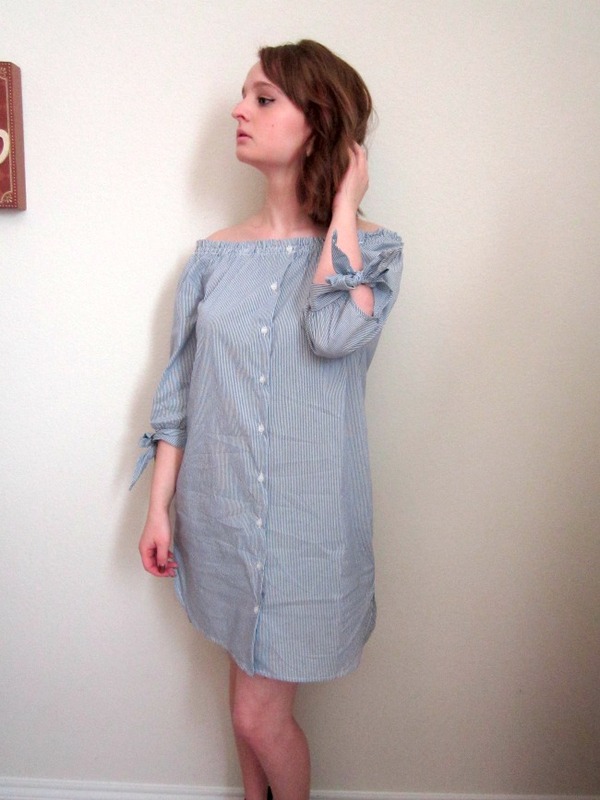 Something else I'm embracing: the shirt dress. 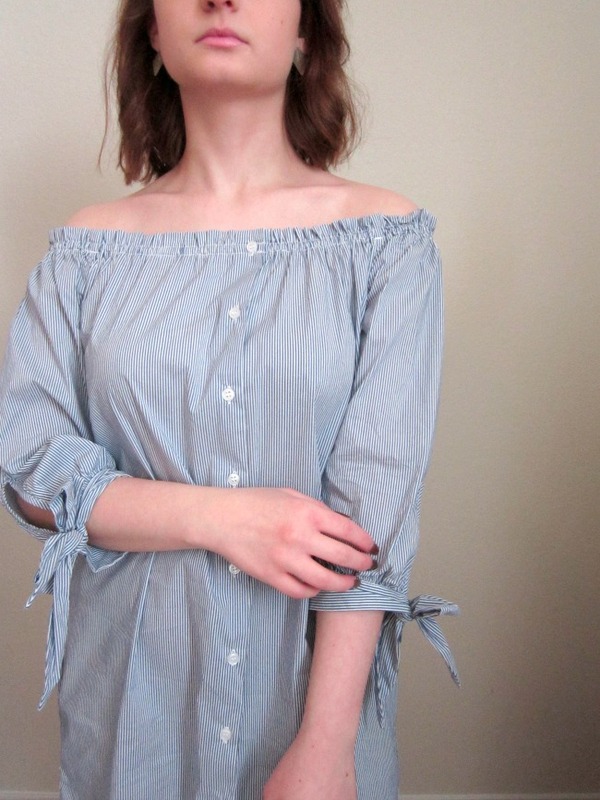 I recently ordered this off the shoulder forever 21 number & I adore the tie detailing on the sleeve and button down look. OK, talk to me about change. Do you dig it or run from it? I've been meaning to talk about my favorite drugstore brands for awhile, because let's face it, that's what most of my makeup collection is. It's really underrated; if you look hard enough there are dupes for pretty much any high end & the price tag difference is insane sometimes. Loreal is hands down one of the most high quality brands. Their makeup is always smooth & their hair color is the only box dye I trust. 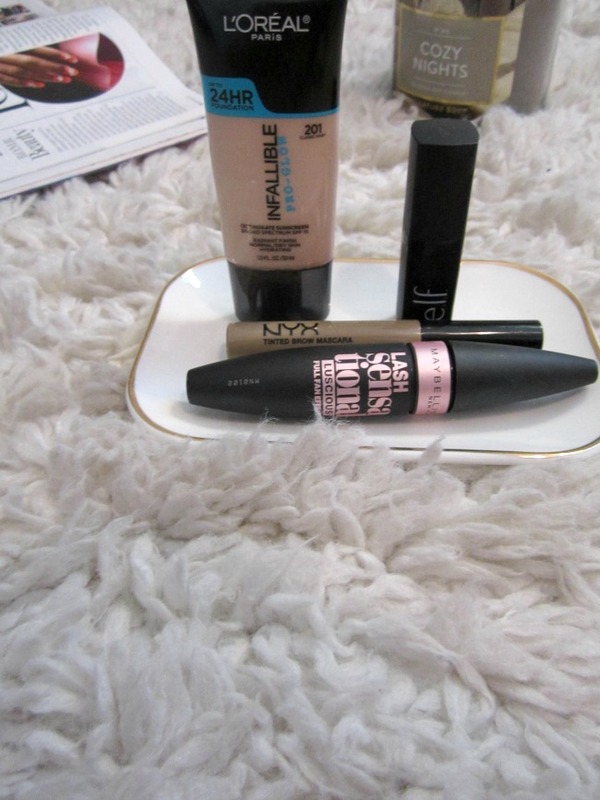 I've tried quite a few foundations in my day & Infallible is probably the best drugstore. I've been using elf products for years & they never fail me. Maybe the most inexpensive drugstore brand out there, elf is cruelty free & mineral enriched. Their matte lipsticks are some of their best products (this one is $3!) as well as their fun eyeshadow palettes that are always impressive quality. On my thirteenth birthday, when I was first allowed to wear makeup, (& get a cell phone, LOL) my mom sat a few basic products out on my bathroom counter for me. Great Lash mascara was one of those products, so Maybelline has been in my life for nearly a decade now & there's a reason! Everything from their eyeshadow to mascara is a drugstore dream. Their lash sensational line? Their matte lipsticks? I die. Although the brand I've been using the least amount of time, I've grown quite familiar & highly fond. Another cruelty free brand, nyx is incredibly high quality & inexpensive. My most recent love is their tinted brow mascara- so simple & good. Their matte lipsticks are AMAZING as well (have I mentioned matte lipstick enough? I'm sorry, I have a problem) & I've honestly not yet found a product I didn't like. THERE YA GO, my top drugstore brands. Did yours make the list? Lemme know! 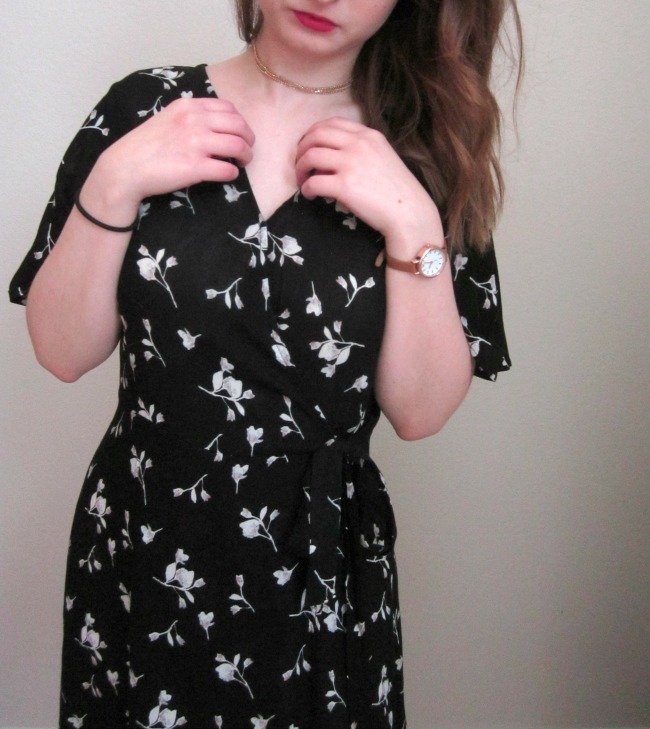 Wrap dresses & lace up flats, oh my! 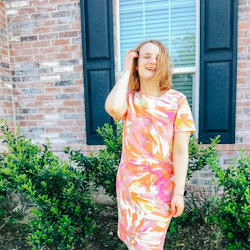 It's time to start thinking transition pieces and this is such a good one to have in your wardrobe. 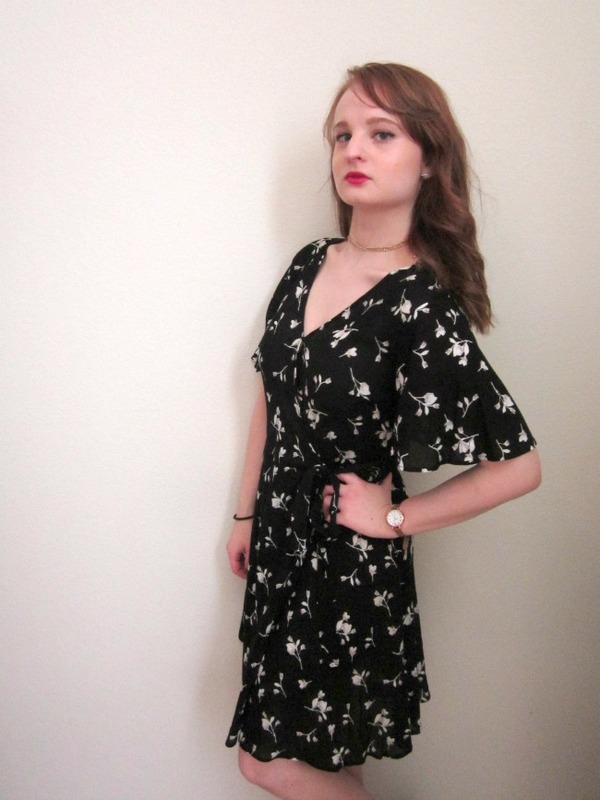 I haven't really rocked a wrap dress too often, but times are changin'. 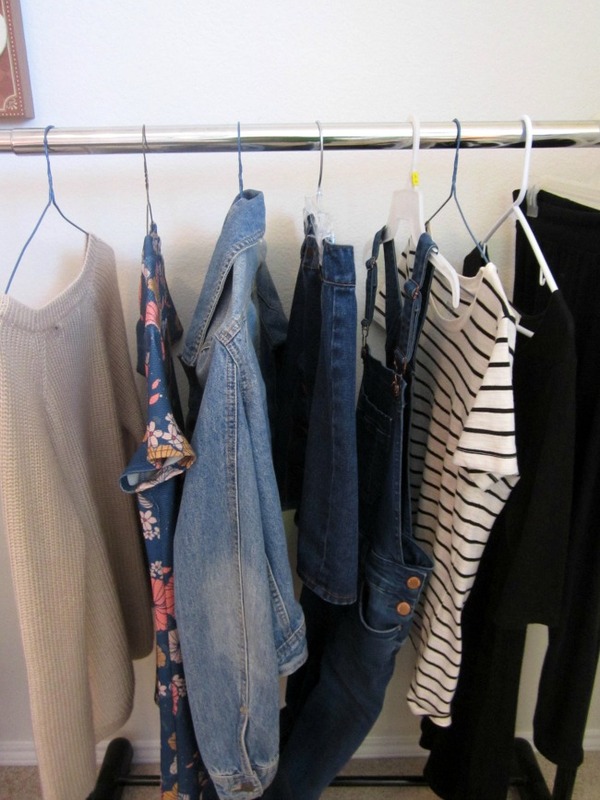 What's a must-have transition piece in your closet?